It’s past time to rethink aversion to these cases. Accountants, for the most part, have been quick to seize financial opportunities. While the business of accounting has its beginnings in record keeping [debits on the left, credits on the right, and all that stuff], the “field” for accountants now dwarfs the record-keeping function. This article discusses a giant market in which accountants have had only peripheral involvement. Many professionals believe that “divorce work,” is second-rate and below either their skill set or tolerance level. Before the 1980s accountants and lawyers alike felt the same about “bankruptcy work.” In the ’80s, however, the convergence of new Chapter 11 provisions with a significant downturn in the economy made bankruptcy matters a gold mine for professionals. Accountants and lawyers now make healthy fees [and offer valuable services] in virtually every aspect of insolvency cases. Bankruptcy is now respectable; law firms and accounting firms who shunned the business for decades now have entire departments devoted to the insolvency practice —very profitable departments. Divorce cases, however, still occupy stepchild status with most professionals. Medium and larger law firms simply don’t take on divorce matters, leaving the work to sole practitioners or small specialty firms. This is even more accentuated in the accounting profession. Neither large nor small accounting firms, or individual practitioners, have discovered how profitable this line of work can be. For the most part, accountants know little about divorce law and what affect such an event would have on their clients’ finances. They have left those worries and considerations to the lawyers. As a result, the lawyers gather the financial facts, analyze them, and determine how to present them to the court. These are all things that accountants do best. Divorce cases are all about numbers. The significant issues for the professionals are not emotional; they are financial. The starting point in all divorce matters is to determine (quickly, accurately, and cost effectively) the assets, liabilities, income and expenses of the parties. As the case progresses, opinion testimony on valuation of business assets, as well as overall income tax considerations, come into play. To date, accountants have not jumped into the field, and lawyers have not been anxious to turn over profitable parts of the file to accountants. The better scenario is different. Ideally, the accountants as a group will discover how significant their assistance can be in identifying, documenting, valuing and presenting assets, liabilities, income and expense data; and the lawyers will realize that their clients will get a better product, probably at a lower cost, if they turn over many of the financial aspects of the case to the accountants. 1. Gathering the Financial Facts: Without doubt, identifying, scheduling and documenting the client’s assets and liabilities as well as income and expenses is the foundation of the case. The result will determine property division and support [or maintenance] considerations. Accountants are better than lawyers at obtaining the required information. 2. Presenting the Financial Facts: Once the numerical facts are determined, they need to be presented to the court. Accountants make better witnesses to educate the court on the raw facts relating to the financial aspects of the case. Accountants are also trained at explaining their work, utilizing spreadsheets and graphic images. 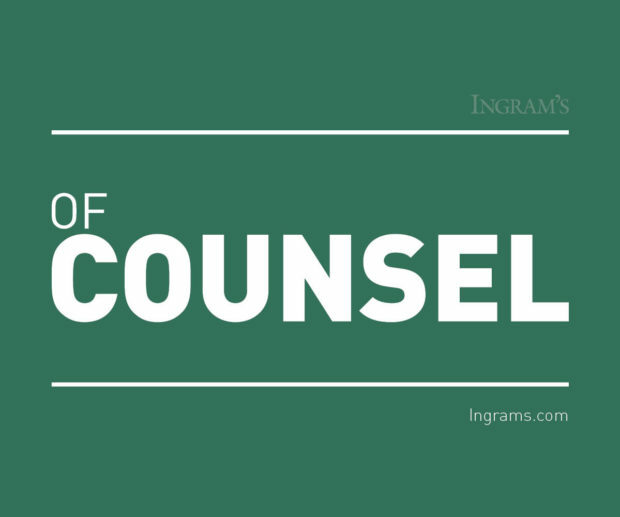 If the accountant has gathered the data, presenting it to the court is a natural follow up. 3. Providing Income Tax Advice & Testimony: Although property divided during a divorce is not taxed at that time, property divisions are based on the after-tax values, thus necessitating expert computation and testimony; clearly a job for an accountant. 4. Performing Business Asset Valuations: Closely held business interests often make up the bulk of the estate in high-dollar divorces. Accountants with proper credentials and professional designations make the best business valuators … and testifiers. 5. Forensic Accounting Services: Questions, or suspicions, often abound in divorce cases. One party is often “certain” that his/her spouse has secreted assets, or has income that has not been reported, or has squandered marital assets on a paramour. Asset and income tracing is certainly within the accountant’s domain. 6. Advance Planning for Divorce Cases: To be of even more service to clients, the accountant should know the differences between Missouri and Kansas substantive law relating both to property division and maintenance. For example, Missouri considers appreciation on separate property to be separate property; Kansas treats appreciation on separate property to be “marital” property subject to division between the spouses. A client with enormous appreciation on assets that are his/her separate property might consider moving to a better climate. Once mastered, the accountant can offer a better product quicker, and at a better price than is available to the divorce client today. That is the foundation for a practice area; more important, a practice area that is not subject to economic cycles.The opportunity awaits. 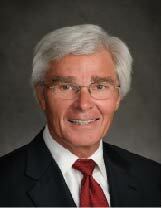 R. Pete Smith is chairman of the McDowell Rice Smith & Buchanan law firm in Kansas City.